Social media ‘relationship experts’ are good at pairing people. 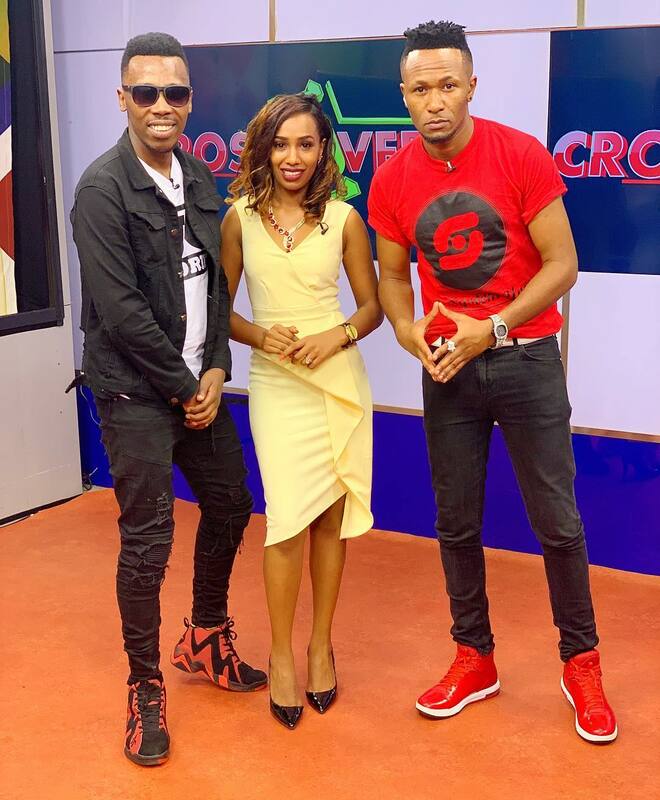 DJ Mo, Size 8’s husband has been forced on separate occasions into a fantasy relationship with his co-host Grace Ekirapa, despite the fact that he’s married. 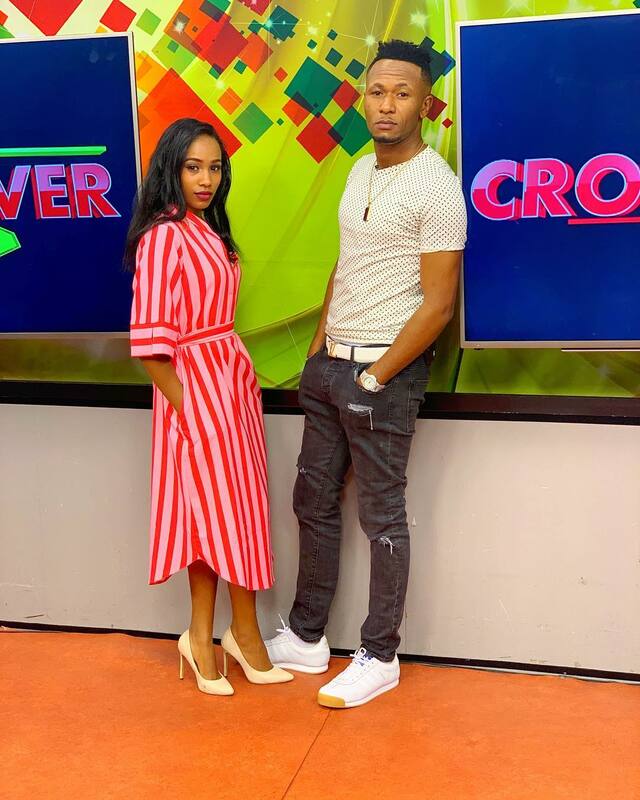 Recently, the CrossOver gospel show hosts attended their colleague’s wedding and shared a cute photo, that saw social media ‘advisors’ beg them to settle down. 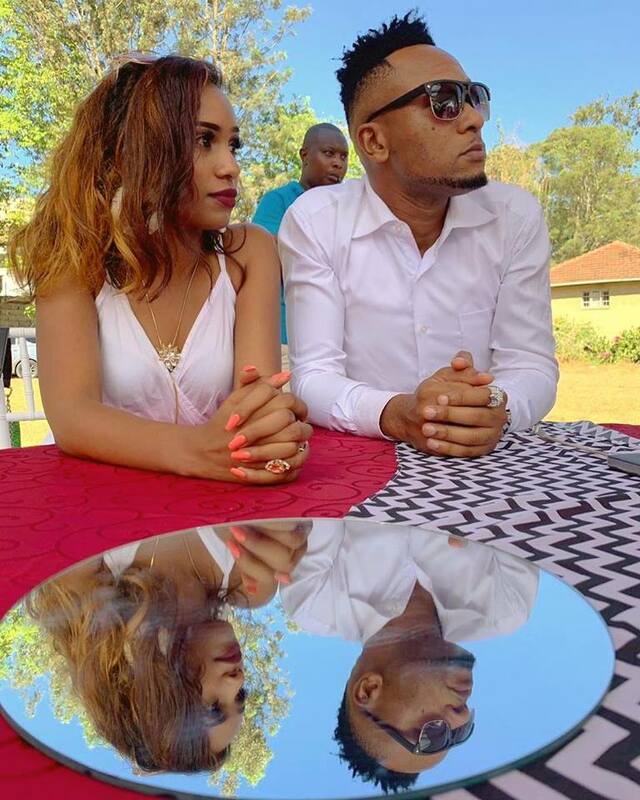 Followers of DJ Mo flooded the comment section, terming them as a perfect match, and some even felt ‘sorry’ for his wife Size 8.
ochieng Awesome,like the reflection on the table huh! !looking alive and jovial.Gotea size name!! k3z__mungai @dj mo was that a coincidence or mliamua..the white wears? dellymchalongo Sorry to say but lately this too close for a married man . Kemirembe Naira that closeñess wooo. But guys though his married he has friends too. Stop making size 8 jealousy with comments Mo and size 8 are celebrities they have friends around them c’mon. Both DJ Mo and Size 8 have addressed rumours that he has a thing with his co-host. Next Post: Vera Sidika finally expecting a baby with boyfriend?